A Google logo at Paris-based gadget show Vivatech in June 2017. Facebook may be having a very bad week stateside and in the UK over its Cambridge Analytica data scandal, but over in the continental European Union officials are maintaining that fellow tech giant Google may ultimately need to be broken up, lest it swallow the internet whole. Per the Telegraph, the EU’s competition commissioner Margrethe Vestager—who led the charge to fine Google a record $2.7 billion last year for allegedly manipulating online shopping markets in a decision that is still being appealed—told them in an interview that EU officials still harbor “grave suspicions” about the search giant. 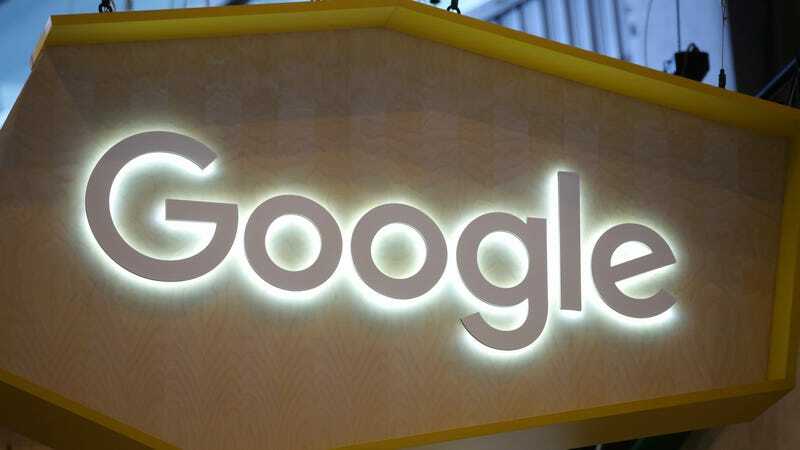 She said that they are still considering whether breaking Google up on anti-trust grounds is the only option to prevent it from becoming too large to challenge without disrupting the economy. Vestager also seemed concerned that Google is still abusing its market position, which is nearly 92 percent of the entire search industry in the EU, to bully competitors out of business despite the fine. In recent interviews, she’s said EU officials will be carefully monitoring its compliance reports and that other related investigations into the Play Store and its AdSense business are ongoing. The company’s rivals have also accused Google of failing to make legally mandated changes following the 2017 fine. European regulators have long been willing to take much more dramatic antitrust action against dominant companies than their US counterparts, who have largely let tech giants proceed without serious legal challenge. As Reuters noted, Vestager said last year further cases against Google remained likely, and the European Commission is drafting regulation that would require “e-commerce sites, app stores and search engines to be more transparent in how they rank search results and why they delist some services.” New EU proposals would also require tech companies to pay a three percent tax on turnover “if they make money from user data or digital advertising in a country,” per the Guardian, a challenge to the model today, where tech giants typically race to install headquarters in countries where they will be taxed the least.